SERDANG, Oct 8 — The Indian Progressive Front (IPF) today asked Barisan Nasional (BN) chairman and Prime Minister Datuk Seri Najib Razak to accept it as a member of the ruling coalition after 27 years. IPF president Datuk M. Sambanthan also suggested that the federal government make Deepavali a two-day public holiday instead of just one currently to allow those celebrating to have sufficient time to meet their families. 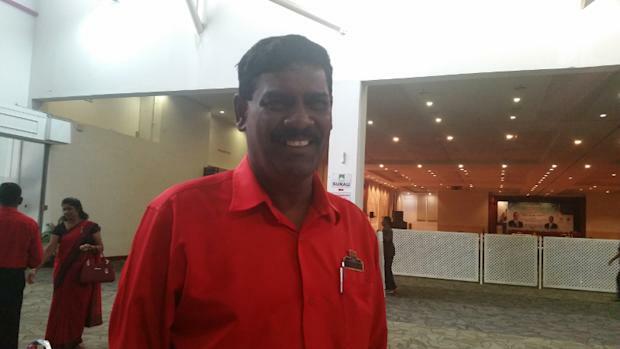 “I have one more request, I ask not for myself, not for IPF members, but for Malaysia’s Indian community, to add on the Deepavali holidays, extend it to two days,” he said at the opening of IPF’s 25th annual general assembly here. He said that families celebrating Deepavali would not have enough time to visit relatives on both sides with just a one day break. “If it’s two days of holidays, today can greet the mother, tomorrow can greet the mother in-law,” he said, giving an example. During his speech, Sambanthan repeatedly pledged his party’s loyalty towards the prime minister and BN, saying that IPF members would launch its machinery to help BN win elections and would also support candidates from the coalition’s ethnic Indian-only party MIC. “Datuk Seri is the one who can help the Indian community, Datuk Seri is the one who can make the decision for IPF to be accepted as BN component party,” he said. “Because we have waited 27 years already, once again we ask, I beg you the prime minister… IPF truly trusts in the prime minister to help IPF to be accepted as a BN component party,” he added. In a list of requests to the prime minister, Sambanthan also passionately pleaded for his party members to be allowed to contest as BN candidates in elections. “Although IPF is not accepted as a BN component party, we support Datuk Seri. IPF has applied to contest for federal or state constituencies, because IPF has much experience,” he said, noting that IPF had in 1990 contested in four parliamentary seats and nine state seats despite losing them. Sambanthan, who had touted IPF as a party in touch with the grassroots and representing Indians who are poor, also suggested that retired military personnel be placed at schools to tackle the problem of bullying. “We can give a chance for each secondary schools to appoint a [former] soldier, we can give an opportunity, pay allowance to reduce the social problem or bullying cases, where students are not afraid of principals. “Many schools have women who become principals, many female teachers, maybe the students are not afraid, if we appoint [former] soldiers to monitor the problem, it can reduce the social problem among the Indian community and among Malaysians regardless of race,” he said. Najib, who was also present at the event, listed down his achievements in helping the Indian community and also thanked IPF for its loyalty to the prime minister. In response to Sambanthan’s many requests, Najib merely indicated it was not his decision alone to make and that further discussions would be required. “Maybe I can’t fully fulfil the demands of IPF, but I am still working to convince others to work together with IPF. “This is not the fault of the Barisan Nasional chairman, I need the cooperation of other friends for IPF to be given more recognition at all levels. “I also take into account the views given by the IPF president and I will discuss with him after this,” he said, adding that he will look into ways to help IPF. Earlier in his speech, Najib said he was confident that IPF would continue to work to ensure a huge victory for BN in the elections. “Although IPF is not yet a BN component party, but this does not mean IPF cannot give its cooperation to BN and champion the problems of the Indian community in our country. “I hope and I wish to suggest that IPF leaders step forward to raise problems and issues that are related to the Indian community in Malaysia for the government to consider and to solve,” he said.